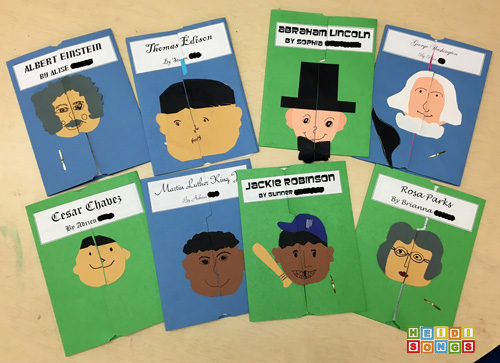 This year, I found out that the all of the second graders at my school would need to read a BIOGRAPHY of a famous person and then write a report on it! 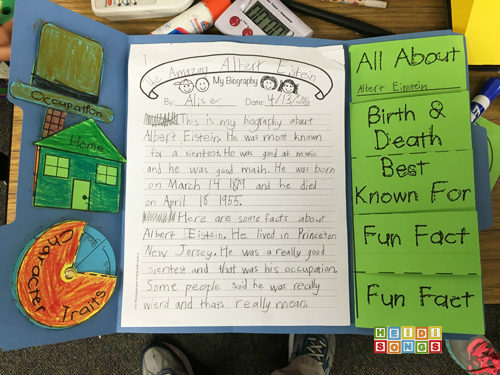 So I created an Easy Biography Graphic Organizer and Book Report Lapbook for them! 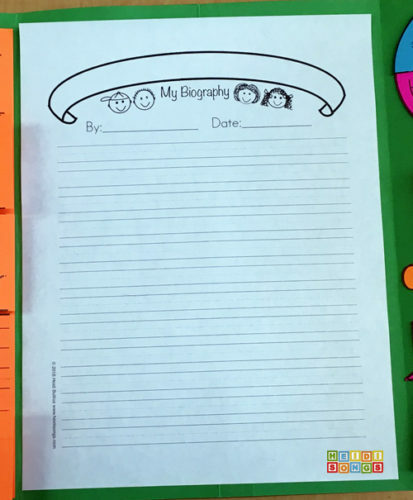 It turned out to be a GREAT way to introduce them to writing a first biography! 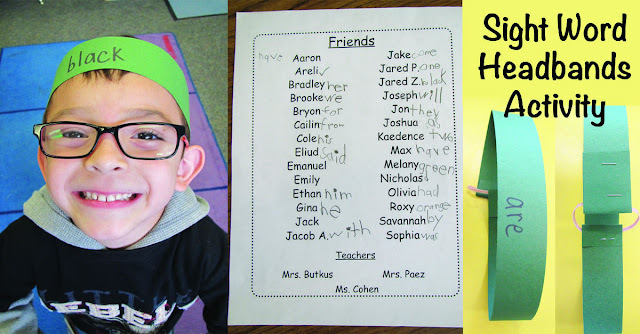 So while my first graders were writing their insect reports (see last week's post on that!) 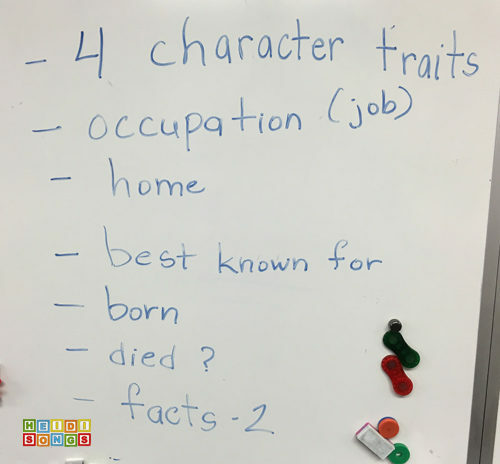 I needed to have my second graders working on their biographies. 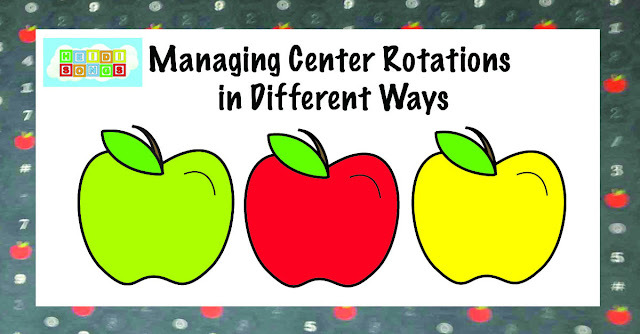 So what is a combination class teacher to do? 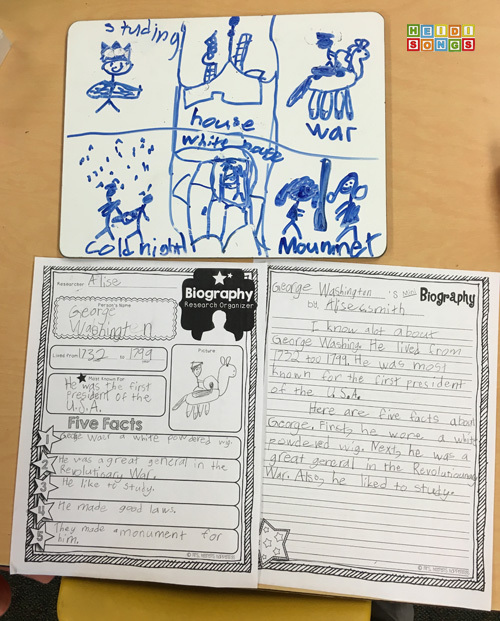 The biography reports were similar in format to the insect lapbook so that I could try to work with both groups at the same time. 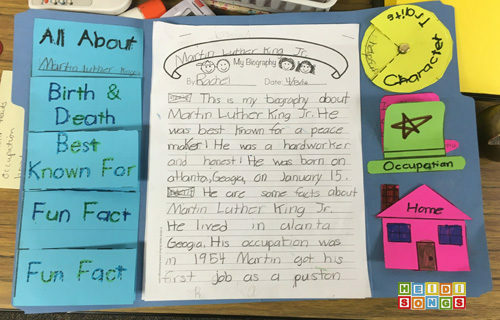 Luckily, I was able to introduce the concept of the biographies and do a practice one with the second graders alone one day when all of the first graders left on an all day field trip. Thank goodness! Basically, I think that the procedure I did actually worked out pretty well, and their reports came out very nicely! 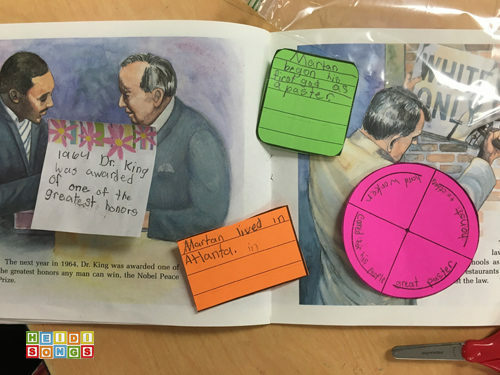 In a sense, I would call this "putting training wheels on a book report," because I scaffolded it one piece at a time to make it as easy as possible and to insure success. Read on to find out how we did it. 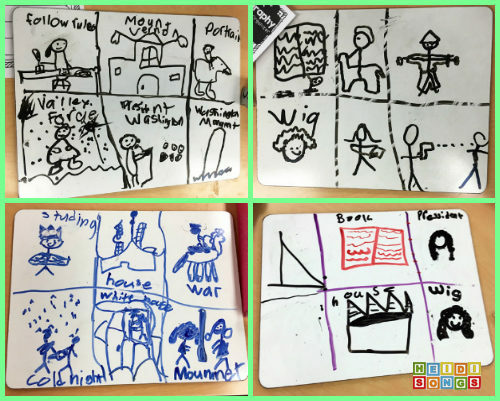 For our practice lesson, I read a book aloud on George Washington, and had them "take notes" by stopping every little bit as I was reading and giving them time to draw pictures of the facts that they were learning in the story on their white boards. After that, together we filled in the biography report form that I found on TPT right here, since I didn't have time to make my own at that point. (There is one now included in my Biography Graphic Organizer and Book Report/Lapbook.) 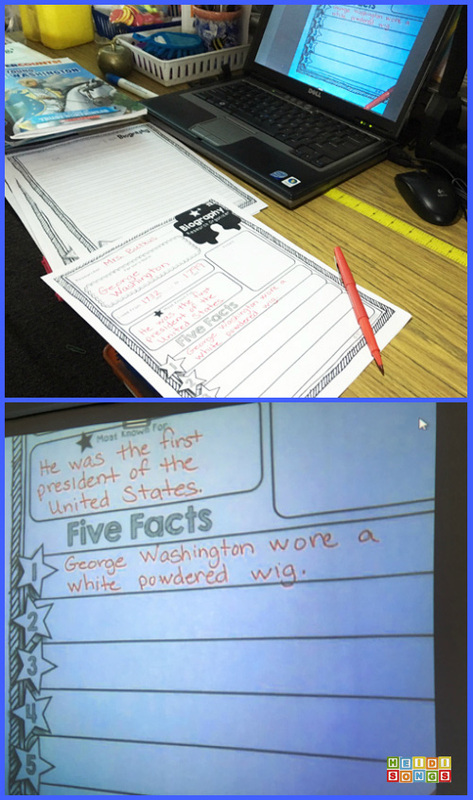 For that particular graphic organizer, we just needed to find what he was most known for, when he lived, and five facts. The one included in my packet is a little different. After we had filled out this graphic organizer, all we had to do was transfer the information over to a written paragraph. Of course, everything is very clear when the teacher is doing the reading and everyone's answers are all the same! Next, I passed out the biographies that I had collected for them to read. Luckily, I had just enough for my ten second graders. If I had not had enough, it would have been fine to work in small groups, though! It probably would have been necessary to do this step at a time when I could have sat with each group and help them read the book together, though. 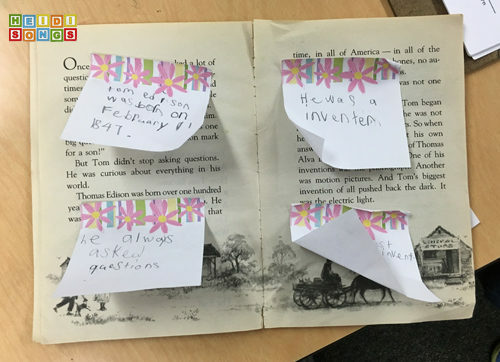 I did tell the children which information they were to look for as they read, and I passed out sticky notes for them to write it down as they found it. This turned out to be a mistake, since I discovered that several of them ONLY looked for the information and did not really read the rest of the book! Next time, I will pass out the books and ask them to read them twice. 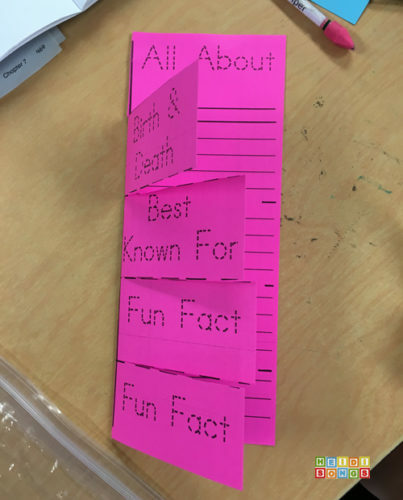 THEN, I will give them the sticky notes and tell them what information to write down! 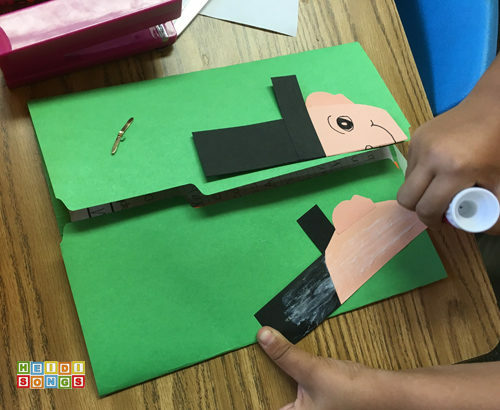 We are now working on fairy tale book reports, and this is what I did today, and it worked SO much better! This day's work is the most crucial, and the most taxing on the students. You need to give them a list of the facts you want them to find in the books, such as where the person lived, when he was born or died, or what he was most known for. 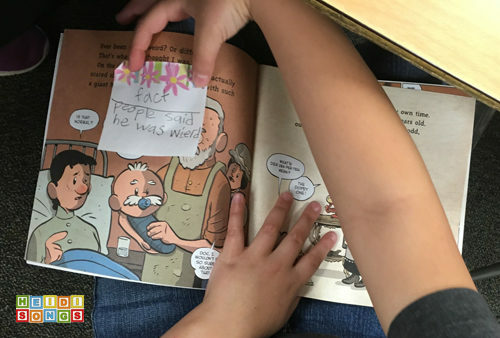 Have the children write the facts on sticky notes and put those notes in the books on the very page that they found that information in the book. 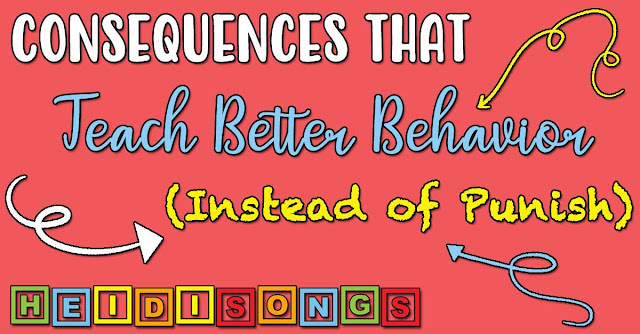 Finding all of this information can be tricky! I also tried to get them to write everything in complete sentences on the sticky notes. Some of them did, but others got away without doing that. The hardest part was DEFINITELY the character traits! 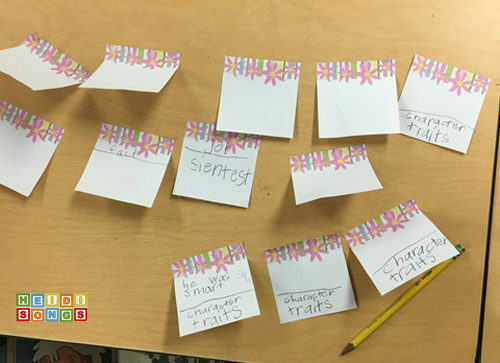 If I could go back and start this year over again, I would begin talking about character traits at the beginning of the year and mention them whenever we discussed a character in a book. I would also discuss them when we talked about Washington, Lincoln, MLK, or any other historical figure, etc., because it is just a HARD concept! So, we went over it this week! From here on out, it started to get easier, because the hardest work was done! 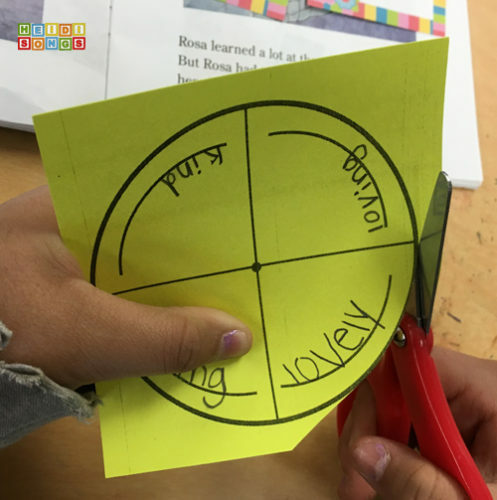 On day four, I had the children begin to transfer the information over from the notes to the graphic organizers. The second graders were able to finish this in one day, whereas some of the first graders needed two days to get this done because they just write more slowly being younger. 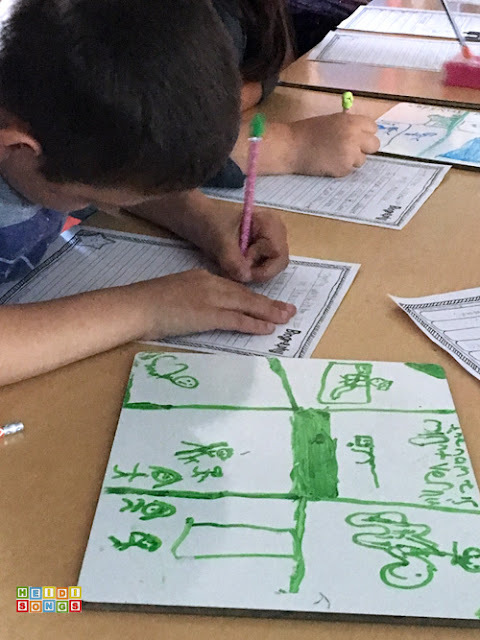 Once all of the information is on the graphic organizers, then all they have to do is write it into a report in complete sentences! 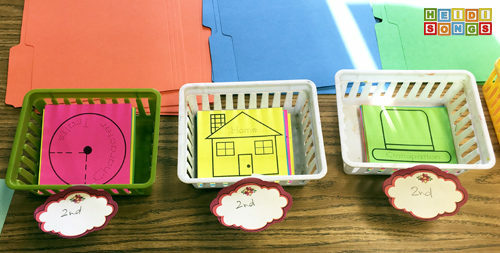 For those that already wrote their sticky notes in complete sentences, all they had to do was copy what they had onto their report paper in the order that I gave them! I provided an outline for them to follow which told them which information came when. The top half of my class was able to do this easily with no problem at all. The bottom half did better sitting with me at a table in a small group, so that I could answer questions as they came up. Other than that, they were okay to just keep writing along! The hardest thing was to keep them writing NEATLY, LOL! I had my kids that were not quite finished with the report work on it this day, and then the others got an extra day to practice math fact fluency on the iPads while their classmates were working. 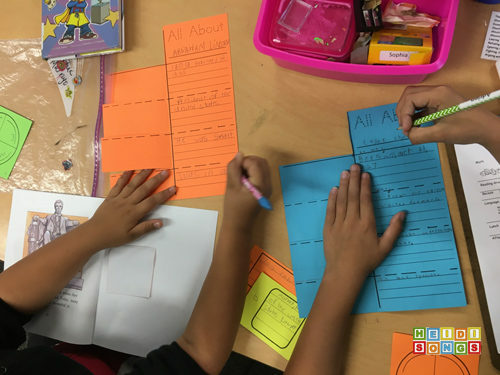 When the report itself is written, the children can begin coloring in the lapbook pieces! I let them use markers if they like, and that is always fun. The only hard thing about this particular lapbook is the circle one with the paper fastener. 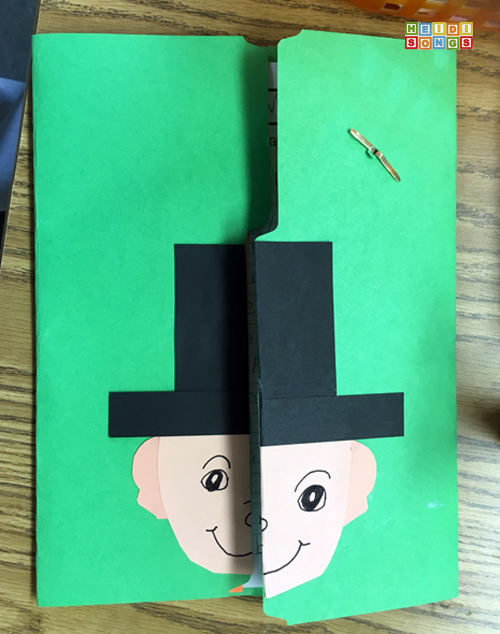 Everyone needed help pushing it through the file folder; but other than that, they were all pretty independent! A wonderful retired teacher friend came in and helped the children make the heads of each of the famous people and put them on the cover. Luckily, I already had a George Washington pattern, a Lincoln pattern, and a Martin Luther King pattern. The rest my volunteer friend made from scratch! If you don't have anyone like that to help you, I would just have them color a picture or download and print one off the internet! Hair - 6 x 4 white piece, cut a 4 x 3 face hole out of the bottom center. Trim to look like George. Collar - 4 x 1.5 piece, round the edges and make the ruffle on top! Hair - 5 x 4.5 grey pieces, cut a 3 x 3 inch face hole out of the bottom center. Trim to look like hair. Mustache - 1.5 x .75 gray piece. Trim to look like mustache. Hair - 5 x 4.5 grey piece, cut a 3 x 3 inch face hole out of the bottom center. Trim to look like hair. Hair - 3.75 x 1.5 black piece, trim to look like hair. Hat - 4 x 1.75 blue piece, cut to shape of a hat. Bat - 4 x 1 piece, cut to bat shape. Hat - rim: 6 x 1 black piece. top part: 3 x 3.5 piece. Beard - 2.5 x 2.5 black piece, cut to beard shape. Day Nine: Type the Title and Print! Here are some samples from the master for you to download if you want! 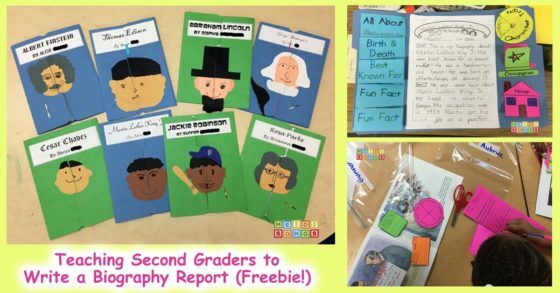 The complete Biography Graphic Organizer and Book Report/Lapbook product is available at this link. :-) I hope you enjoy it! And please let me know if you think a different type of lapbook/book report would be good to have! We might be able to whip that up for you! P.S. 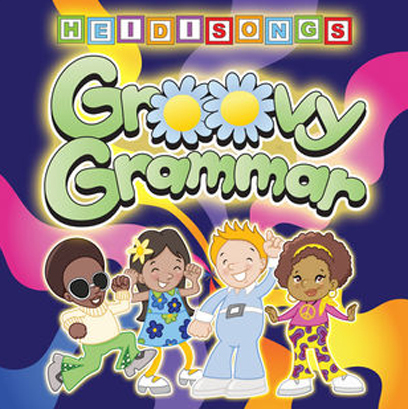 Did you know we have GRAMMAR songs on iTunes???? And a SKIP COUNTING SONGS DVD! !